Snippets of Jack: "Come to Join me crew, lad?" "Come to Join me crew, lad?" All you faithful Captain Jack Sparrow lovers should know that there's a poll posted on our blog where you can vote for your favorite PotC actor. And keeping with our recent theme of attaching a post to go along with the poll, this post is in honor of all the actors and crew who helped create the Pirates of the Caribbean movies. Hundreds of people contribute to the making of the movies, but since our poll asks for your favorite actor, I thought I should share mine with you. Although I still appreciate all the other members, such as the directors Gore Verbinski and Rob Marshall, not to mention all the other actors not mentioned in the poll such as Geoffrey Rush and Ian McShane. But enough keeping you in suspense, let the fun begin! Penelope Cruz plays Angelica in The Pirates of the Caribbean: On Stranger Tides. Actually, she was one of the actresses portraying Angelica in the movie because Penelope was actually pregnant during the filming of the movie. So the hired another woman to be Penelope's stunt double and perform in some of the fighting scenes Penelope was unable to participate in. They actually hired Penelope's sister, Monica Cruz! But Penelope's addition to the PotC cast was a great idea. Her acting was great as she was able to portray both innocent Angelica and devious Angelica. I have my fingers crossed that she'll reappear in the fifth movie! Keira Knightley plays my absolute favorite character (to make fun of) in the films. That's right, she plays Elizabeth Swann. Sadly, she wasn't in the most recent of the films, but did a great job portraying this snobby pirate woman in the first three films. If you haven't noticed, she curves her lips when she talks starting in Dead Man's Chest which makes her seem really arrogant, showing her true colors! It's like once she starts wearing the guy clothes she has a whole other attitude! So now you're thinking, if you hate her so much why do you put her on all your favorite lists? But I don't hate Keira Knightley! I just hate Elizabeth's attitude because it's annoying. But Keira Knightley does a great job portraying this annoying attitude and that can't go unnoticed. Jack Davenport plays Commodore Norrington in the first three films, until his character dies half way through The Pirates of the Caribbean: At World's End. So that was rather tragic, because he was pretty cool. 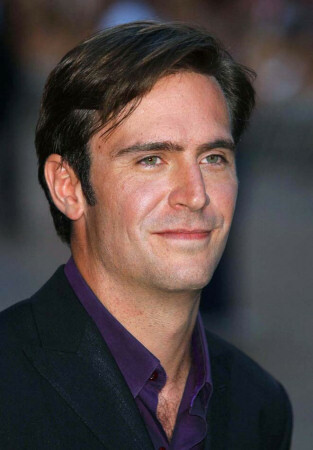 Originally, the writers invisioned Jack Davenport would only be in the first film, but because so many fans like me, they decided to keep him in the cast, making the right decision. Like Penelope Cruz, Jack Davenport portrays a character who drifts between being a good guy and a bad guy. And he plays his conflicted character really well, (not to mention he's not bad looking either :P). You better know who Orland Bloom is and who he plays in the movies. And if you are one of the few people on earth who doesn't, then hopefully the picture will jog your memory. Besides being awesome in the first three pirate films, he's in a bunch of other major movies, such as playing Legolas in The Lord of the Rings films. He'll be returning again as Legolas in the Hobbit: An Unexpected Journey this December. 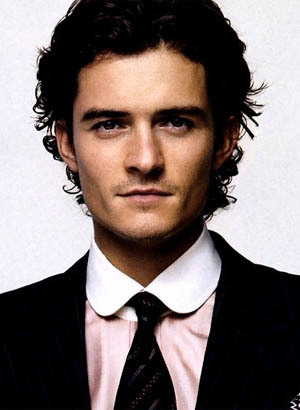 Unfortunately Orlando Bloom most likely won't be returning to the Pirates of the Caribbean as Will Turner again, but if you're a big fan of his awesomeness you better get to the movies in December! Because of my love for Johnny Depp, we actually have a whole post about how awesome Depp is. But for the sake of honoring the great actors of the films, I had to add Johnny Depp to the list, because he really does make the best ever. If Jack wasn't so loony, would the movies be as funny, exciting, and epic as they are? I highly doubt so. And it seems like you all agree with me, because the current poll results (which are subject to change), Johnny Depp leads the polls for best PotC records with 17 out of the 27 votes. But this isn't the finally count, so please don't forget to vote for your favorite!! !